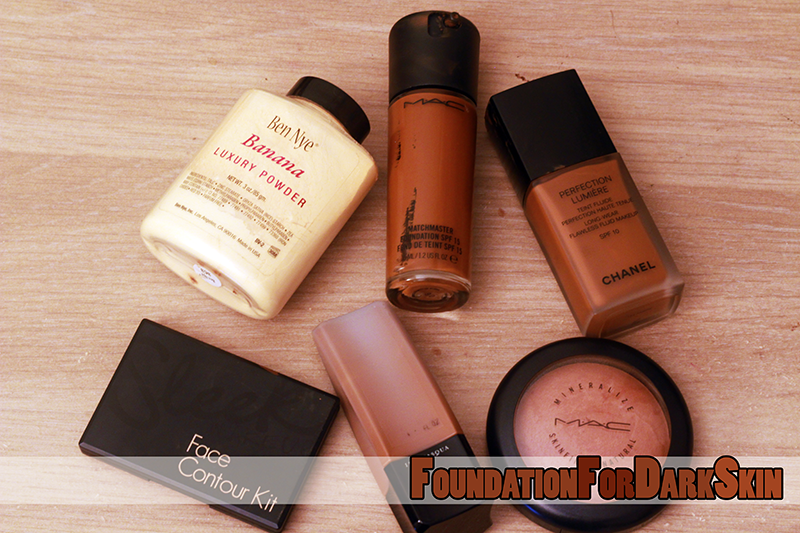 Back in the day, I used to be a fiercely loyal MAC fan when it came to buying foundation. Not because their foundation was particularly good however; it was because at the time (let’s say…5/6 years ago) there were hardly ANY brands that catered towards those of us with darker skintones. It seemed like MAC were the only ones who came out with darker shades. Even though I personally don’t find a vast majority of their foundations (except Matchmaster) to be amazing, I still kept using it, holding on to the dream that there would be a time when companies would start branching out into doing darker shades. Fast forward 6 years and although we are still in the same unfortunate situation (especially with the high street brands), fortunately a few premium brands discovered the MAHOOSIVE gap in the market and created shades suitable for those who were olive skinned right down to deepest mahogany. 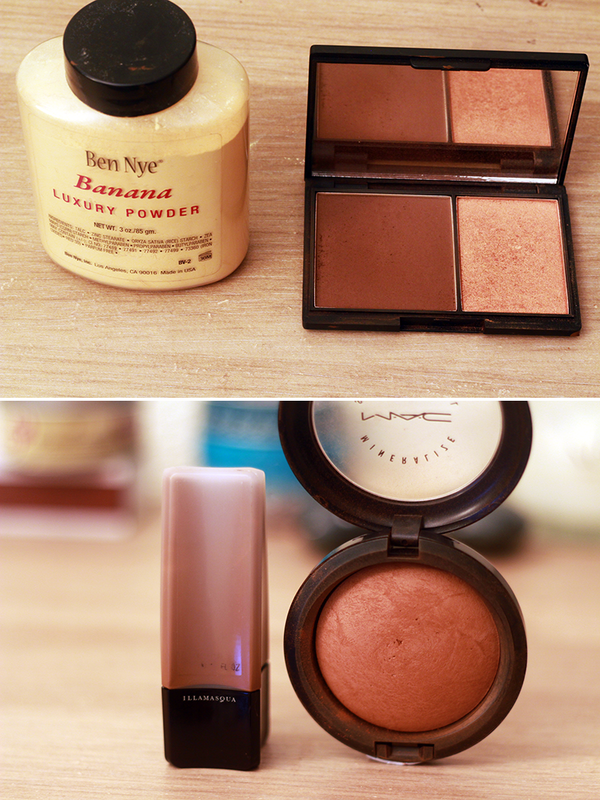 Today I thought I’d show you the current products, liquid and otherwise, that I use on rotation. I don’t have a whole gang of foundations as I normally like to stay true to one until it finishes, then move on to the next one. Because I am pretty dark myself, It’s often hard for me to find a darker shade of contour powder to use, however the powder that comes with Sleek’s contour kit comes pretty close. The contour kit is available in different shades is available in Boots and Superdrug as well as online. Now available in a mahoosive 26 shades, Illamasqua’s skin base foundation has a shade for everyone. I love this foundation because it creates a flawless finish on the skin (especially if used with s stipple brush) and its’ vast range of darker shades. I would say that there are about 9 darker shades within this collection, which is amazing for those of us to like to combine a few together to create the perfect look. I tip my hat off to them, it’s amazing! Available in Selfridges and online. In regards to the Chanel Perfection Lumiere Foundation, I did a separate review of it here. By far my favourite foundation! I had heard so much about this product a couple of years ago and decided to try it out. Although they don’t do that much of a range, especially with darker colours (6 shades), the quality is pretty good. I usually wear this when I’m looking for more of a full coverage and I find that it blends in easily and lasts a long time. For reference, I am wearing the foundation in an earlier post. I love this stuff. I’m already on my second one and I can’t get enough of it. I use the powder on top of my makeup to set the liquid foundation and mattify my skin, or if I’m not in the mood for wearing a face, I’ll wear the powder alone with some lip gloss and mascara and I’ll be good to go. It’s very light, yet enough for a full enough coverage. Although again there isn’t that much of a diverse range, the powder is just translucent enough to suit a variety of skintones. Available at MAC stores nationwide and online. 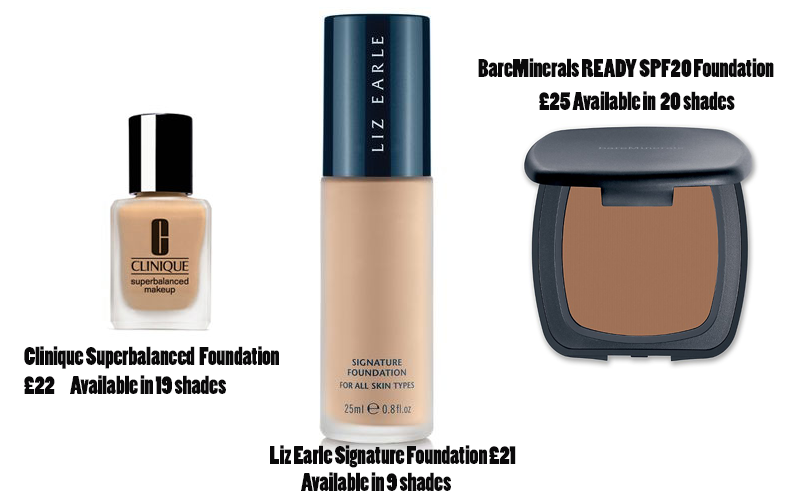 Here are a few foundations which I have used previously (that I don’t have anymore) that cater towards darker shades. For reference, I am an NC50 when wearing MAC or 9.0 with MAC Matchmaster. Although I wrote this with the intent of merely showing you guys what I personally use, I hope this post has been somewhat informative. My friend and fellow blogger Annie also created a VERY extensive .PDF list of foundations that cater to darker skintones and I highly suggest that you guys check it out!